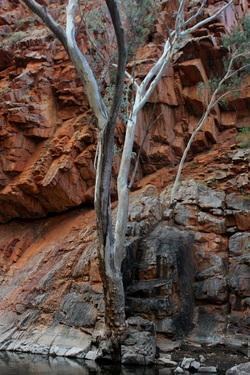 t isn't as well known as some of the other places on the drive, but is around 90kms from Alice Springs. 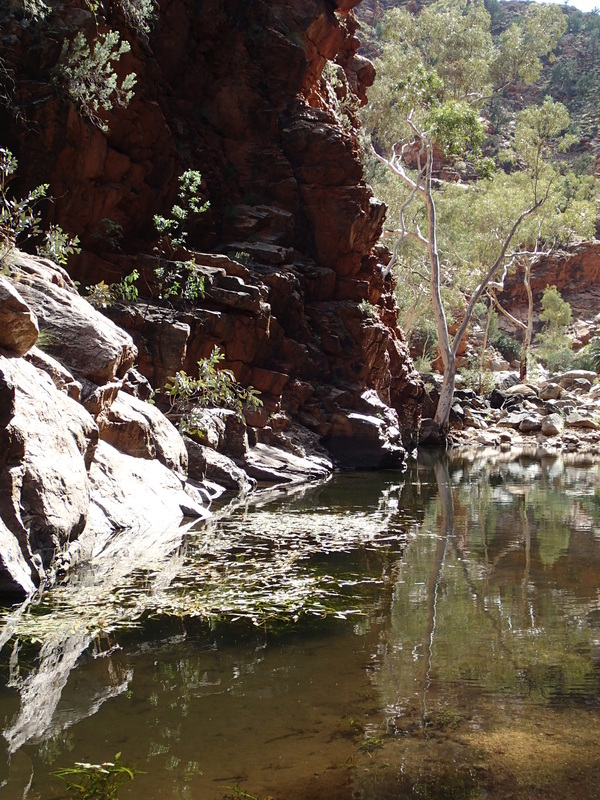 It doesn't have the same beauty of nearby Ormiston Gorge or Simpsons Gap, but it is a very tranquil place to visit. To read more, please scroll down the page. 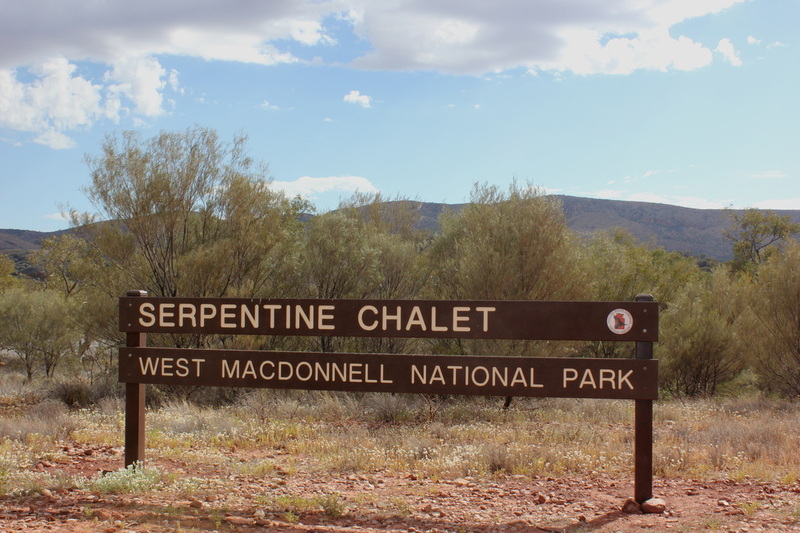 There is no camping at the Gorge but nearby (on a separate road entrance, and it will not be as clearly signposted as the Gorges, so you will need to watch for the turnoff), is Serpentine Bush Chalet, which is bush camping. Camping at Serpentine Bush Chalet is true bush camping. 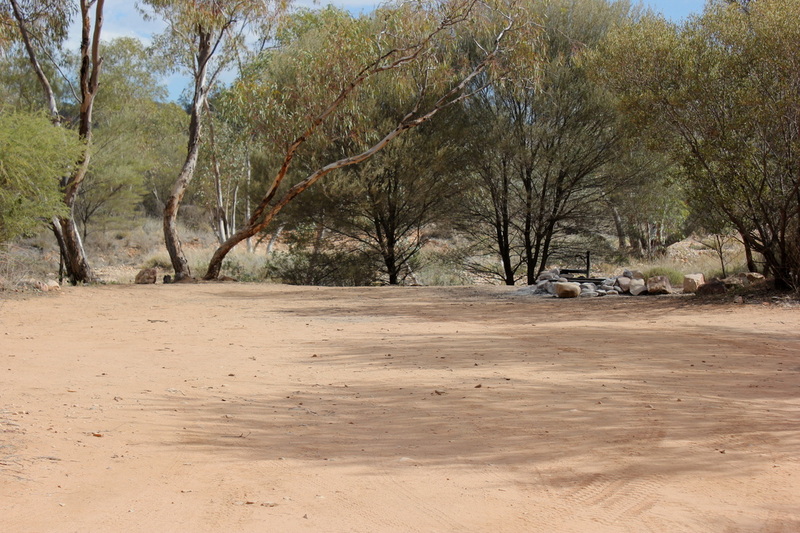 It has no facilities at all, and the campsites are located well away from the main road. Some of the road is accessible for 2WD and there is a designated turning point, where its advised that 2WD don't go any further. But, we found the road to be not great in some spots before this turning point. I wouldn't have wanted to be in a 2WD on this road. Believe 4WD is the best option for this whole area (and certainly for the latter part, where its definitely 4WD) I don't think caravans could get in here at all, and off road camper trailers only. 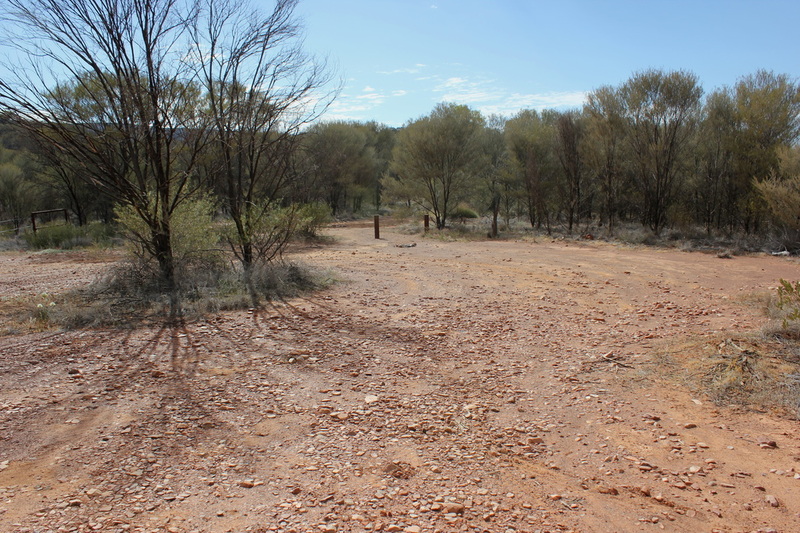 Its a narrow track, winding through all the bush camping areas. There is a dry riverbed crossing as well (it was dry when we were there, but have no idea what its like in the wet season). Basically you can camp anywhere you like in there, though you can see some cleared areas set up for camps (some places had firepits). As its bush camping - bring in everything you need including water. Shade will vary according to site. There was no-one else there when we visited, and its a very peaceful spot to set up camp. And because its spread out so much, privacy between sites is excellent. If you are camping at the Chalet above, or just day visiting, you might wish to also visit this Gorge nearby. There are 2 walks you can do upon arrival from the car park. 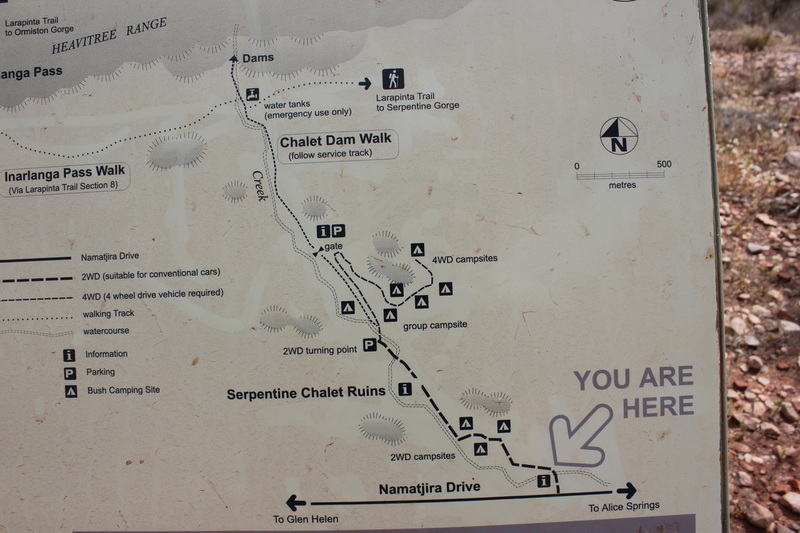 The first one, and the one we did, was the Serpentine Gorge Waterhole Walk, which is 1.3km long, and crosses a dry riverbed and is easy enough walk (it was really hot the day we visited, and it seemed so much longer!!!). The second walk is the Lookout Walk, which is all uphill, and gives great views, but we were too tired and hot to try that one (this time!). Upon arrival at the Gorge, we were the only ones so it is a pretty and peaceful location, and definitely not one where lots of people visit from what we can understand. 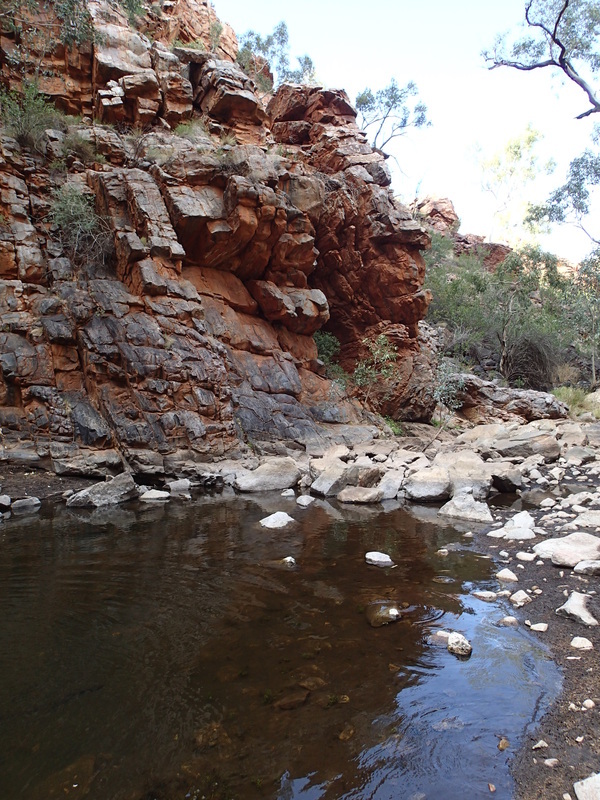 Does it have the scenery of Ormiston Gorge? No - its quite different, but still a nice restful stop. I believe there is no swimming allowed, though cannot remember 100%.